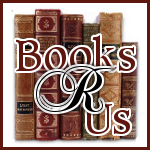 I want to welcome Laurie Bellesheim to Books R Us. 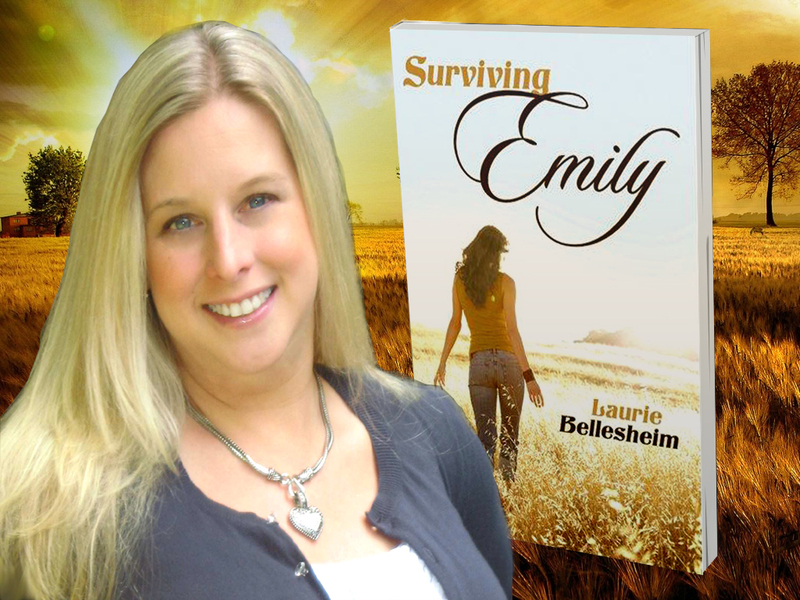 Laurie is the author of the Surviving Emily. She is virtually touring the blogosphere. Thanks for stopping by. When Abigail went to wake her best friend Emily, she had no concept of the nightmarish horror she was about to encounter; unbeknownst to Abigail, Emily suffered from epilepsy, and she was the victim of Sudden Unexplained Death in Epilepsy. Emily’s death left a void in Abigail’s life, but Abigail was not the only one affected by the loss. Emily’s longtime boyfriend, Stephen, was shattered by the loss of the girl he planned to marry. In the years that pass, the two survivors find different ways to cope with their friend’s death. Stephen tries to drown his sorrows in booze, drugs, and meaningless encounters with faceless women; eventually, he pulls his life together, but he finds himself unable to commit to love again. Abigail buries her sadness so deep that even her husband doesn’t fully understand her loss; Abigail herself doesn’t realize how badly she was hurt by the events of her past until she encounters a client with epilepsy through her work in the Department of Children and Families. Newly pregnant and struggling to deal with her epileptic client, Abigail crosses paths with Stephen once more. Stephen is in a foundering relationship with a caring and supportive nurse, but he finds himself unable to commit to the level that his girlfriend, Carolina, needs and deserves. Through a series of amazing events Stephen and Abigail manage to find peace with the events of that tragic day so long ago as well as the fortitude to continue on the paths that their lives had laid before them. Full of heartbreak and loss but ultimately hope, Surviving Emily is a compelling story that explores the meaning of everlasting friendship and the healing power of love. 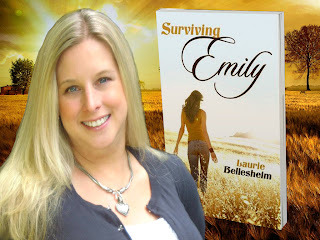 Surviving Emily is based on author Laurie Bellesheim’s personal experience with Sudden Unexplained Death in Epilepsy; at the age of 18, Bellesheim lost a close friend to this silent killer. Prior to writing this, her first novel, Bellesheim worked as a social worker with the Department of Children and Families. A graduate of Southern Connecticut State University with a bachelor’s degree in social work, Bellesheim resides in rural Connecticut with her husband and their three children. IT WAS THE year 1990, the morning of November 11th. Abigail woke up to the sound of her alarm clock; she and Emily were scheduled to work early. But little did she know as she tossed back her covers and stepped outside her bedroom that morning what was waiting for her in the room across the hall. In the few steps she took, the dreams of her youth were destroyed, a friendship was shattered, and the life she knew took a whole new course. With her heart pounding viciously in her chest, Abigail rushed down the stairs. She ran as fast as she could to the farthest end of the house to her mother’s bedroom. Her mother was already opening her door. At the sight of her, Abigail fell to her knees. A sudden ache for a breath and a tightening in her chest left her too weak to speak. Her mother dug her fingers into Abigail’s arms as if attempting to lift her up. Abigail felt her mother’s fingers bruising her skin. “What is it?” her mother shouted, nearly breaking into tears. “Abby, what’s wrong?” Worried Abigail had been gravely hurt; she pulled her daughter’s clenched hands apart. “It’s not me,” Abigail cried out. “It’s Emily!” She looked at her mother helplessly, unable to find the words to explain. It was enough to propel her mother down the hall and into the kitchen, where she grabbed the phone from the wall. A second later she was back in the hallway, pushing the portable phone into Abigail’s hand. A distant voice asked, “What is your emergency, please?” but Abigail couldn’t answer right away. She was too busy listening to her mother run up the stairs, hearing her bare feet pound on each wooden step, waiting for her inevitable scream. The house became filled with the sounds of the front door opening and closing and footsteps pounding up and down the hardwood stairs. From her perch in the bay window, Abigail saw a coroner pull into the driveway and watched a policeman on the front stoop pull on rubber gloves. A man carrying a camera brushed past her on his way through the living room. And as the static noise from the policemen’s radios pulsed inside her head, she began to wonder if any of what she was seeing was real. Other than the occasional policeman stopping to question her, she felt as if she was trespassing on the stage of a theatrical production that wasn’t meant for her to see. She felt like she was outside herself, watching the tragedy unfold. More frighteningly, she knew that at any moment Emily’s father would come. He would waver through her door, the very same one the paramedics had torn through, and he’d want to see his daughter. Abigail heard the whispers of the policemen from where she sat by the window. Not only had they found Emily’s father, but they’d also heard about Stephen, Emily’s long-time boyfriend, who’d also been at her house the night before. Soon he’d come as well. She thought about how she’d face them, the two men who loved Emily most. How she would sit and watch their hearts shatter to pieces all over her living room floor as they were told. She couldn’t fathom such a moment and was terrified every time the front door opened. A while later, still trying to process all that had happened, Abigail slipped away from the chaos and tiptoed back up the stairs. She’d been instructed not to go upstairs, but the desire to see Emily was too strong. She saw no harm; after all, it was her house. But as she approached the top step, she was confronted with another shock. Two men wearing rubber gloves rummaged through her bathroom. One sifted through her personal items while the other one examined her trash. She couldn’t imagine what they looked for but was too appalled to ask. It was an image she would not soon forget. With her mouth gaping in disbelief, she turned towards Emily’s bedroom. Across the room another man knelt by the window. The blinds were torn down, and the morning sun was trickling in all around him, leaving small squares of light across the hardwood floor. Outside the window, red and orange leaves swirled in a cool November breeze as their long twisted branches cast distorted shadows across the eaves. Beneath the shadows, Emily’s lifeless, sheet-covered body lay on the bed, barely missing the path of the sun’s warm glow. The man was busy dusting the blinds for fingerprints; she recognized this from the legal drama series she sometimes watched on television. He didn’t seem to notice her standing there, nor did he seem to hear her. Abigail gasped as she felt like a thousand bee stings hit her, all at once. Emily had died, and not even the police understood why. Stop by the next stop on the blog tour on 10/22- A Twitter Blast with Pandora Poikilos .